One of my favorite photo shoots from last year was our Easter one. I liked the final product – the pictures, but I also had such a good time with it. 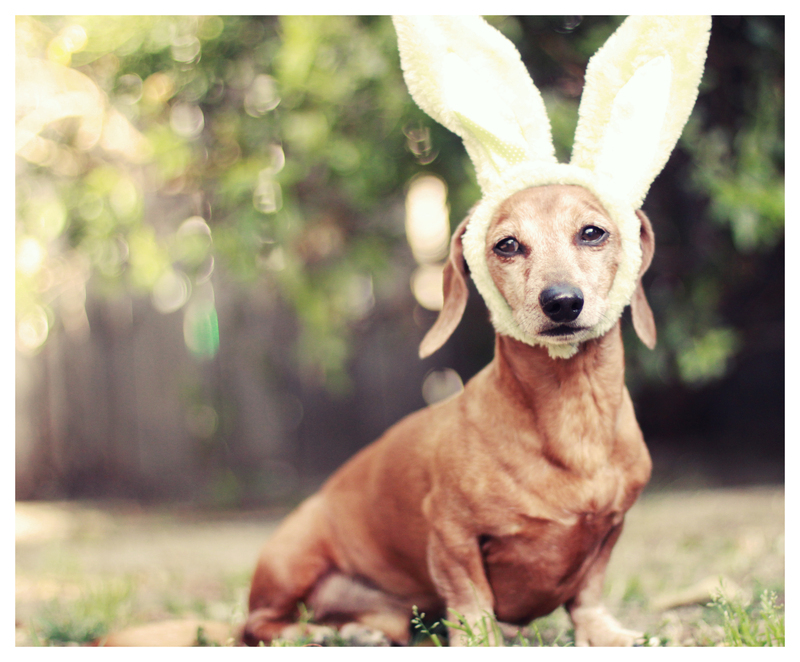 Easter is one week away so in preparation I pulled out my Easter props and found Rufus and Emily’s rabbit ears. My doxies are such wonderful sports! They’re so gracious about letting me put them in clothes, hats and even rabbit ears. I burst into laughter each time I put the ears on them and smile big. I can’t decide if they look more like Bugs Bunny or Steve Martin. Hope you enjoy the photos as much as I did taking them. 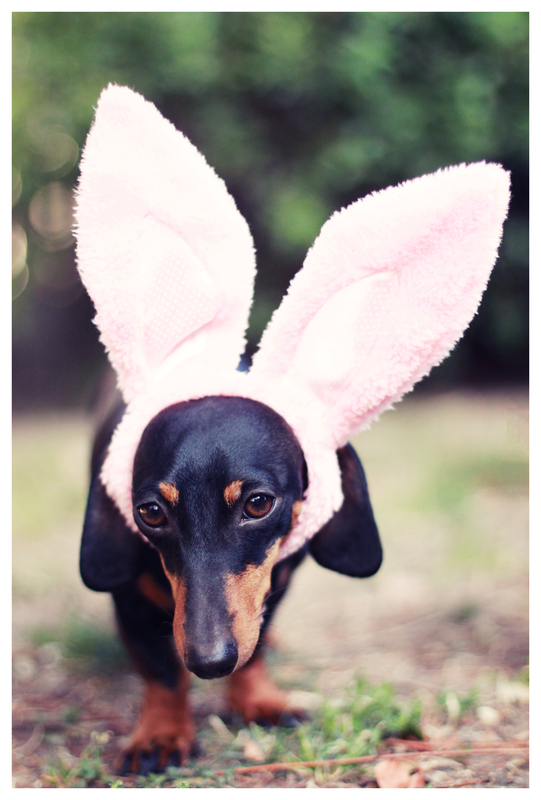 Frieda would not allow me to put bunny ears on her, oh the indignity! But I managed to get her to accept an Easter Bandana! Dori would be fine with whatever!! Both my girls hated bunny ears! Congratulations for being able to dress them up for Easter!